WORK presents images from Brian Clarke’s sketchbooks, which explore various themes as they evolve into “finished” artworks throughout his working practice. WORK is structured into seven volumes, six of which embrace specific themes: the fleur de lys, landscapes and seascapes, CDJ(a male figurative study), heraldry, splashes, and skulls. The seventh volume is an index for the other six volumes, showing large-scale artworks that resulted from the thematic explorations in the sketchbooks. Including oil paintings, stained glass, works in lead and mosaics, the index is, in Clarke’s words, the “parts of the sum” as evident in the other volumes. Clarke’s sketchbooks embody the poetic journey through which he explores ideas, and present a myriad of medias incorporating drawing, collage, watercolour and photography. 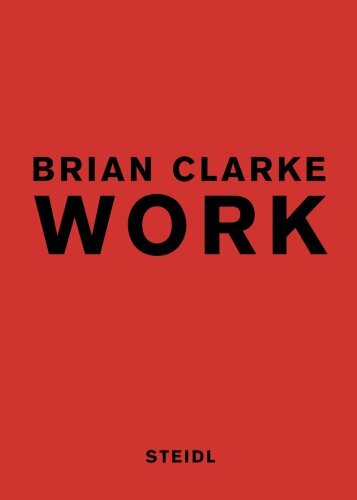 Each volume in WORKcontains a selection of images from multiple sketchbooks, and is thus a distilled vision of the lyrical investigatory processes that shape Clarke’s art.